Neutral packing, 12 cartridge per carton. 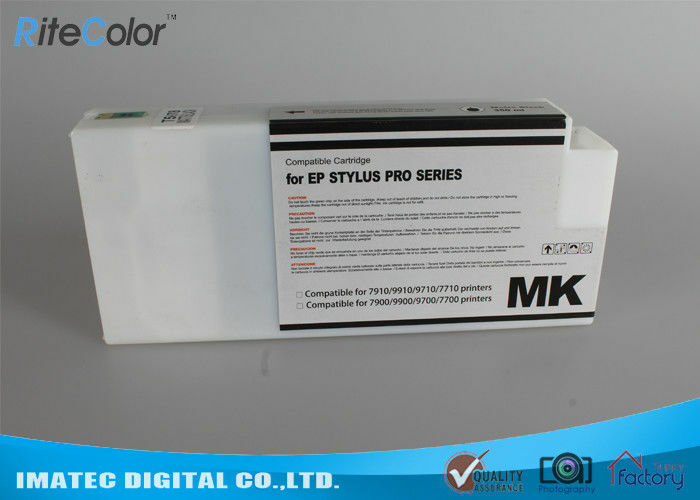 The ink is specifically manufactured to match the performance & color properties of OEM Epson Stylus Pro UltraChrome HDR Ink. We offer the full 11 colors inks including the new Orange & Green inks. 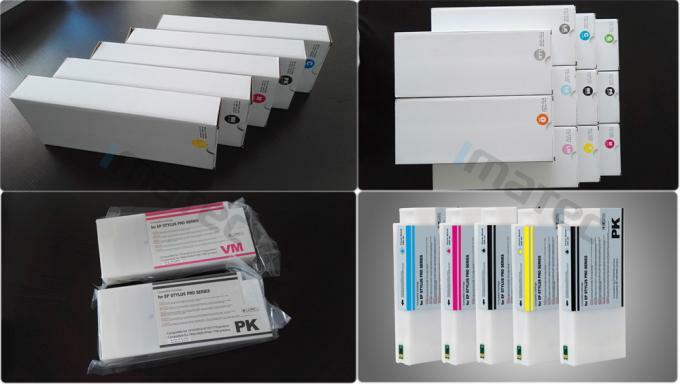 This is the latest pigment ink technologies to deliver the wide color gamut. This ink can definitely match the properties of OEM Epson inks, and can mix with OEM ink to print. No need to creat new color profile. No need to flush the machine. Directly swap and print. Delivery Term Usually by FedEx, DHL etc. This ink has richer color and last much longer. They are an ideal choice for both indoor and outdoor applications, ranging from banners to billboards, photographics, studio reproduction etc. We also supply this UltraChrome Pigment Ink in bulk liter bottles, which is used for CISS refilling.